I may be out for summer break but I've still got a large backstock of teacher outfit pics for you all. Here we have some of my favorite red pieces that I wore for our end of the year award assembly! 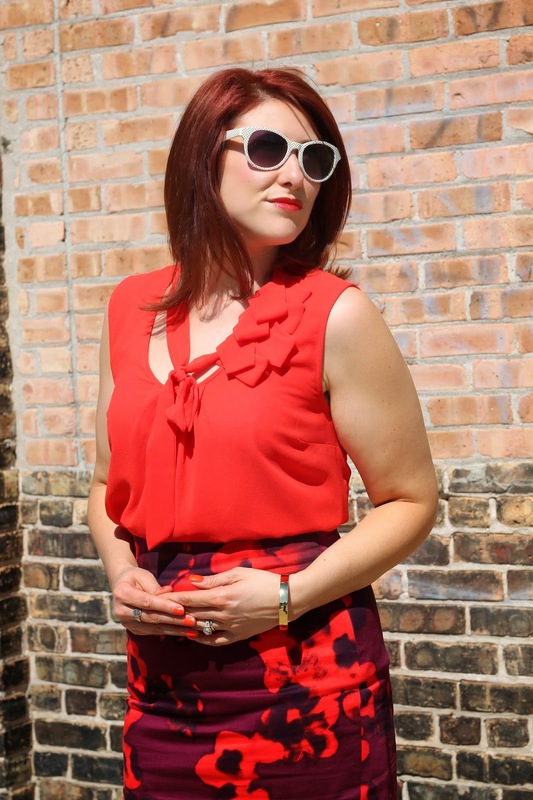 You know me, a pencil skirt and bright colors are what I'm all about. This top is an old favorite that I had tailored to be less flowy and more form fitting. This pencil skirt was a great sale find from the winter Zara sale. I'm pretty sure right around $30! Not bad, eh? And for all those loyal Zara fans out there, the summer sale is ON now! There are always great deals to be found when they have a sale. Happy summer shopping all! Shop some great floral pencil skirts below all at great prices!